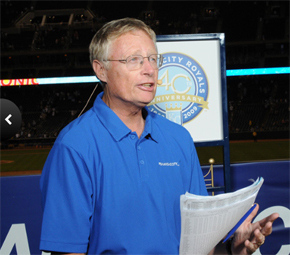 The Kansas City Royals organization mourns the passing of our all-time winningest pitcher and longtime team broadcaster, Paul Splittorff, at the age of 64 due to complications from melanoma. We invite our fans to share their memories and sentiments here in the comments below. Splittorff spent his entire 15-year Major League Baseball career with the Royals and had a 166-143 record and 3.81 ERA in 429 regular-season games. The left-hander was in four postseasons with the Royals, 1976-77-78 and 1980, reaching the World Series in the latter year. Please feel free to leave your comments below to share your own memories and any condolences as we remember No. 34.